To import financial data from QuickBooks Online (QBO), login to Fathom, select ‘Add a Company’ then select ‘QuickBooks’ as your data source. Fathom works with QuickBooks Online in most regions. At this stage we are not able to integrate with company files from France. 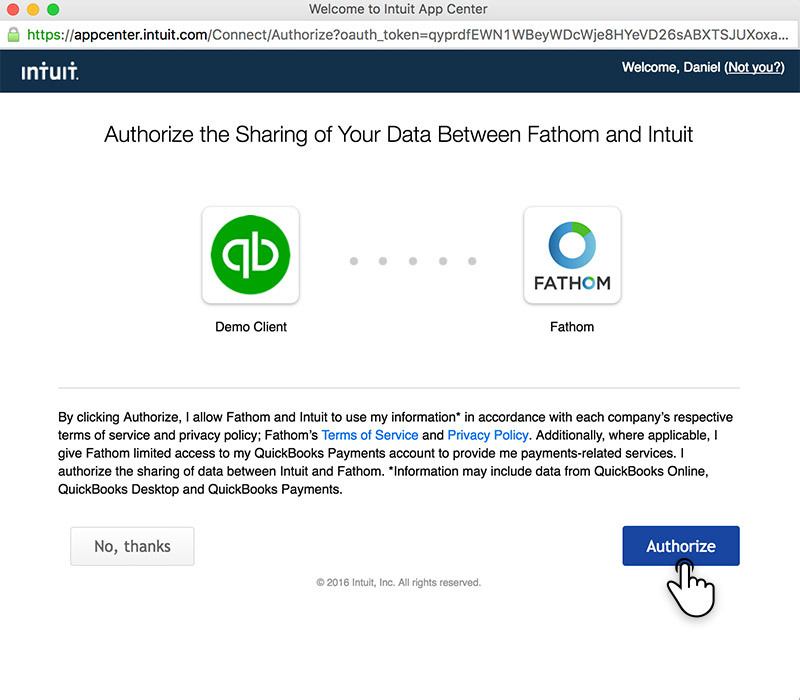 The first time Fathom connects to your QBO organisation, you must authorize Fathom to access your data from QBO. (You’ll only need to do this once for each QBO organisation). To get started click on "Connect to QuickBooks". You will then be prompted to login to QuickBooks using your QBO username and password. You must have either 'company admin', 'master admin', or have access to the company file through QuickBooks Accountant (QBOA) to authorize the import. Step 2: Select which company would you like to connect to? You can then select which of your companies you would like Fathom to connect to. Click "Authorize" when ready. When you return to Fathom, you can select the period range of data that you wish to retrieve from QBO -- the periods that you wish to analyze and report on using Fathom. Tip: Choose your starting month carefully - afterwards you will not be able to import data prior to this month. 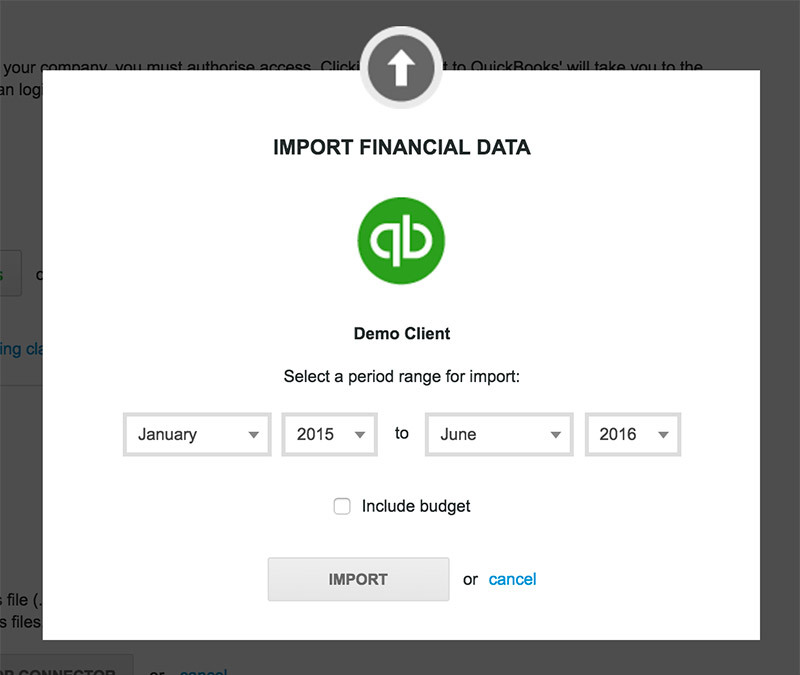 When ready to import your financial data from QBO, click ‘Import’. After importing your data, proceed to the company setup to configure your analysis and reports. At anytime in the future, you can re-sync the data in Fathom by selecting 'Setup' for this company in the 'My Companies' screen. Then click 'Update from QuickBooks'. This will synchronize the data in Fathom with the data in QBO. You can also choose to enable 'auto-sync', which will automatically update your data from QuickBooks each day, to the nearest completed month. The application has already been subscribed to by another user for this company. Please contact abc@xyz.com to make changes to this subscription. Intuit imposes a limit of a single connection between a company file and Fathom. The error is indicating that another user has already connected that Quickbooks Online file to Fathom. The other user can be identified by the email address in the error message. To resolve this, you will need to ask that user to log into the company file in Quickbooks Online and go to the 'Apps > My Apps' section. They must then disconnect from Fathom. You will then be able to make a new connection and import the company into Fathom.